Jetpack is a free plugin for WordPress. Jetpack makes life easier by giving you all the essential tools needed to run a website/blog. It contains multiple modules to help you run websites. Use it to collect valuable site data, protect your WordPress website, increase performance and so much more. If you are familiar with WordPress you have probably heard of Jetpack. It was built by the fine people at WordPress.com. With Jetpack you get tons of power absolutely free. The functionality of this extensive plugin is one of the biggest reasons to use WordPress. There are a wide range of things it can do with it to manage single or multiple websites successfully. Jetpack contains multiple modules that you can activate or deactivate. These modules all have specific tasks and work like separate plugins. There are so many modules included in the package that it may be the only plugin you need. Many of the modules are on par with or better than premium plugins that perform the same function. For starters there are features to manage comments along with simple site stats such as page views. Traffic growth modules include tools to enhance distribution, share, show related posts, verify your site and allow visitors to subscribe. For security and performance Jetpack offers modules for monitoring uptime, login for users, fast image loading and protection from malicious login attempts. Jetpack users who purchase an inexpensive subscription to VaultPress get the peace of mind of regularly scheduled backups and security scans. There are many modules to help manage the appearance of your site. Features like infinite scroll, media galleries, pop-ups, widgets, carousel and visibility options can help you make your site more visually appealing. For writing there are essentials like spelling and grammar, publish posts by email and writing with markdown. There are always new functionality being added. Even experienced users are still learning new things about all that Jetpack has to offer. 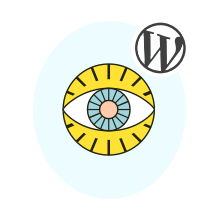 Recently the developers added a module that allows you to manage and post to your WordPress website from any device. There are many more modules for developers, sharing, posting and more.